If anyone knows me, they know my love of everything feminine, girly and sweet. 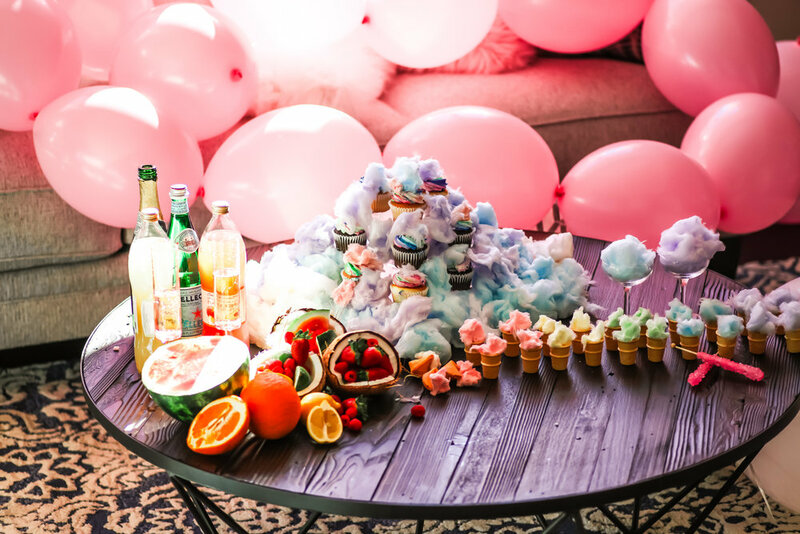 I love using my creativity to go above and beyond and when the idea came about to have a Cotton Candy Party I knew EXACTLY how “extra” I wanted it to be. For ALL my cotton candy needs (or dessert needs for that matter), I had Twirl Cotton Candy. With the gourmet flavors and bright colors, there was NOTHING that compared to the fresh fluffiness. I got multiple large tubs in different flavors and colors to compliment the sweet and fruity tablescape. I also made sure to have extra twirls to add to the drinks. . Stick to a theme that is complimentary. 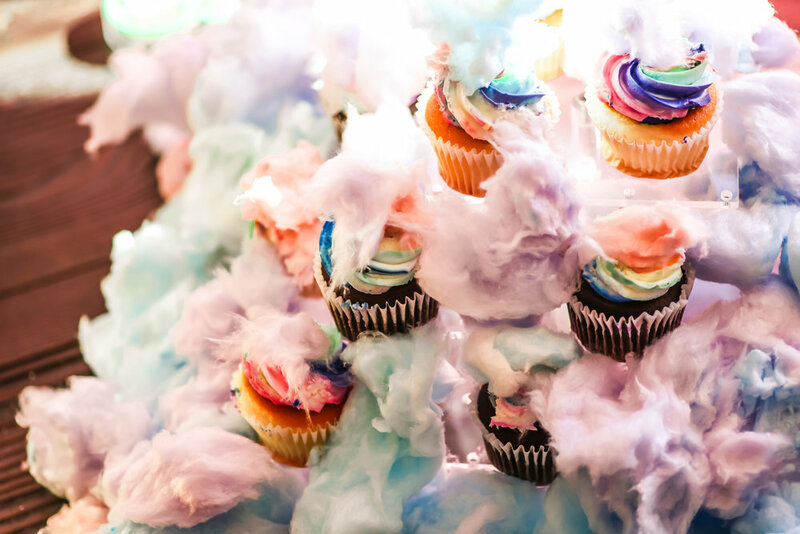 Using Valentine’s Day as the perfect complimentary holiday, the bright and vibrant colors worked well with the many colors of cotton candy. 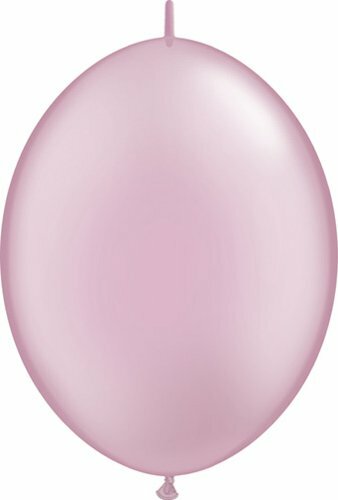 I bought pink balloons and created a single garland of hot pink and blush pink. Oh, be sure to add some feisty black and white marble balloons for a little drama effect. 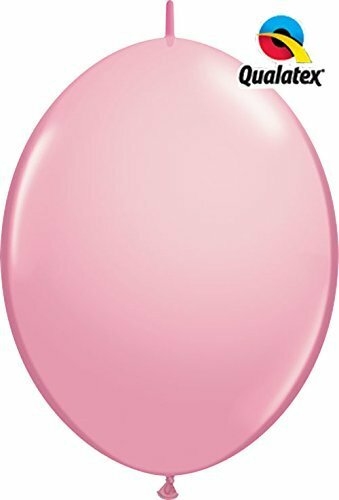 Qualatex Quick Link Balloons - White - Bag of 50, 12"
Qualatex Latex Balloons 65334 QUICKLINK-Pearl Pink, 12"
Dress the part…requesting a specific attire isn’t always a pain. Those that you invite to an event will already be anticipating it based off the super cute invites you’ve sent out right? 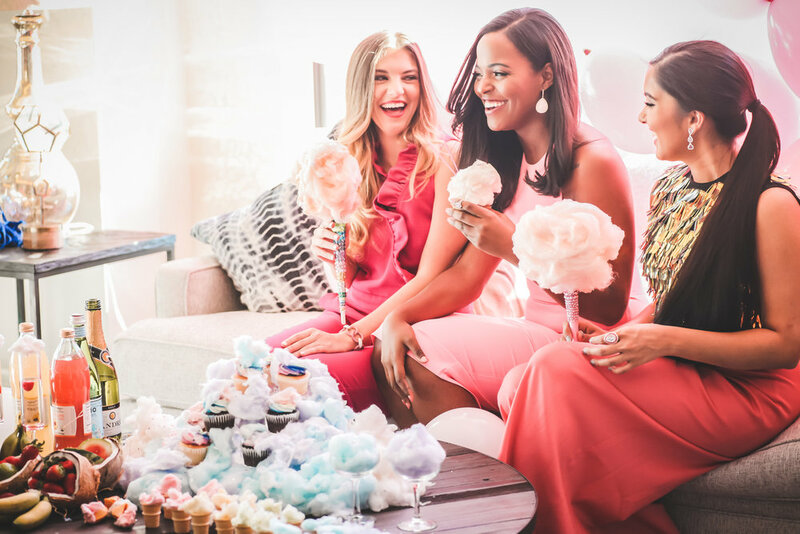 It is all a part of building up the hype for the event and for us ladies the first thing that comes to mind is “What am I going to wear?” Guiding your guest with specific colors can be a lifesaver when not knowing what to wear for an event is daunting. 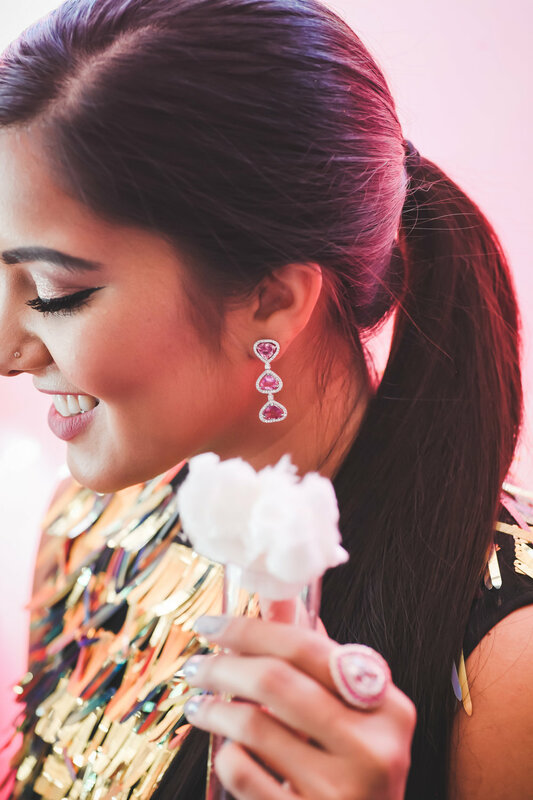 Using descriptions like Valentine’s pink festive or Sparkly Chic gives everyone how fancy or casual they need to be for the event. When do you get a chance to dress up with shades of pink? Not often! Tootsies has a GREAT selection of designer dresses that come in a plethora of pinks. For those who want to splurge to the budget conscious, they cover all the bases. A great party is always a great excuse for a great outfit! Bonus points if you have friends that are “extra”…they make the party THAT much more fun. How fun and on theme are these Steve Madden strappy sandals?! They may not be available everywhere but grab a similar version here and here. Use different ways to display desserts. Always, always, always “zhoosh” up the tablescape. This is part of the “WOW factor” for your event. It may be hard to stick with similar serving dishes so I opt to have acrylic display stands. 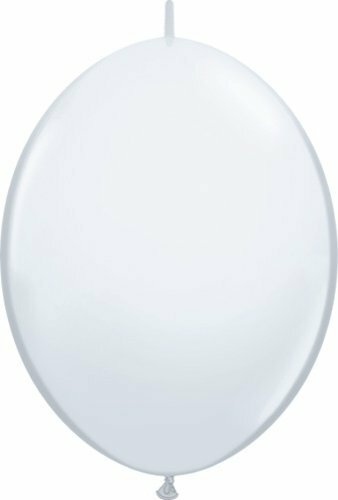 Gives the illusion of the food floating and is SUPER EASY to decorate for the theme. 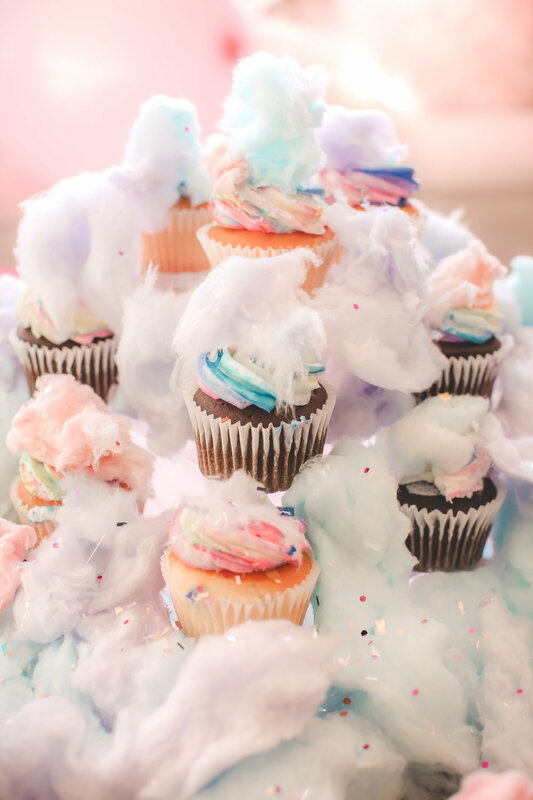 I even filled mini sugar cones with rainbow colored cotton candy. I am a sucker for color! Create a simple, visual bubbly cocktail or mocktail. 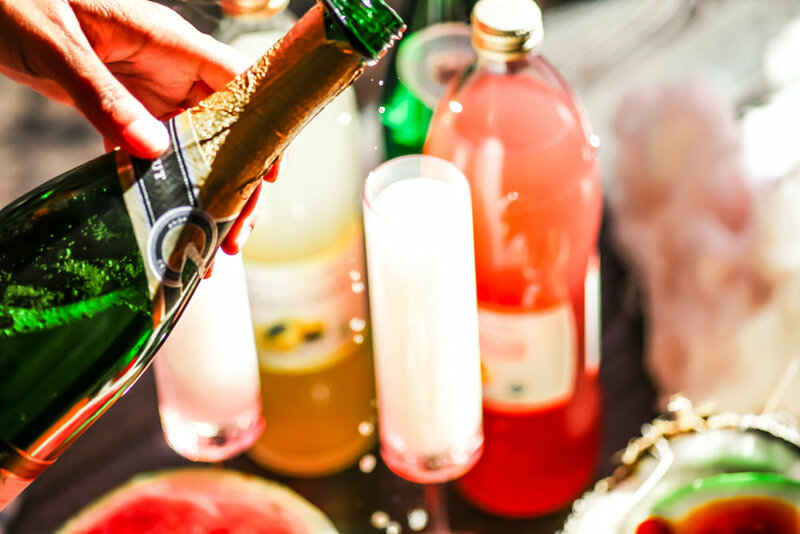 Having a signature drink is a staple for most parties. It makes things A LOT EASIER when you only have to worry about one or two drinks. Even a big batch cocktail will work for your event and can be very easy to whip up. 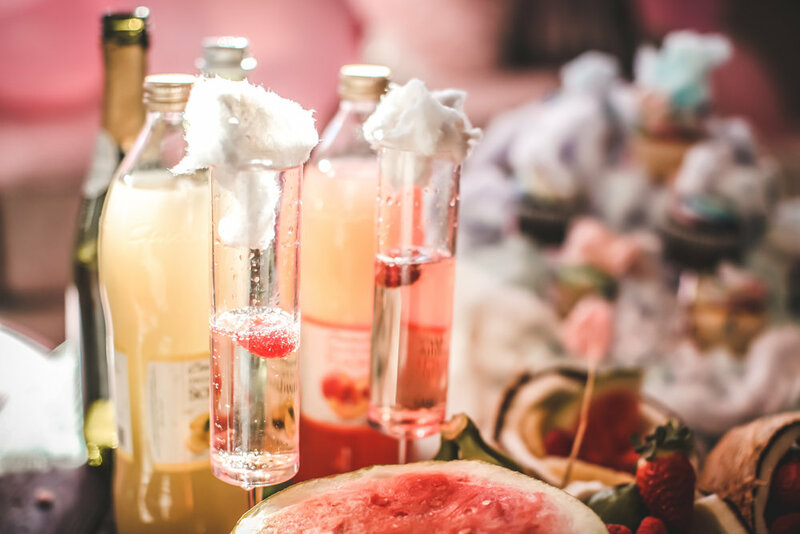 Ingredients: White Citrus Cotton Candy, Sparkling Water or Brut Champagne to top off, 1 cup Blood Orange Juice and 1 cup Passionfruit Juice. 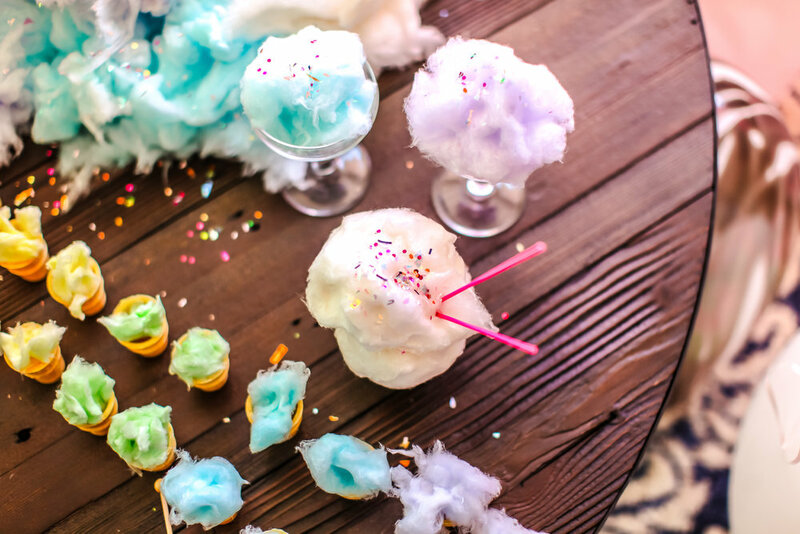 Use fresh fruit (orange slices, pitted cherries) to garnish in the glass and the cotton candy as a topper. I LOVE LOVE LOVE planning boutique and intimate events like this! I would love to recreate something similar for you - so be sure to reach out through my contact page so we can connect and create a special colorful event for you! Be sure to pin this to your board for safe keeping!